Not a masterpiece but still fun! Though it’s January and Escape Room is a horror movie, it is very enjoyable for what it is and really shines through, but is no masterpiece. Escape Room follows five strangers who all are promised $10,000 if they are the first person to complete an elaborate escape room. However, it takes a deadly turn when the game becomes dangerously real. Before speaking about the film, it should be detailed why January-released horror films are never really good. The month of January is mostly a testing ground for filmmakers to attempt different styles of directing due to most blockbusters being released around Christmas. Examples of this are films such as Split, Cloverfield and The Boy. Escape Room follows this same pattern and holds the same amount of enjoyment. The film is a lot of fun. It doesn’t try to be an artistic view on the philosophical aspects of puzzles or have any deeper meaning and only tries to keep viewers on their toes, something it does really well. The plot of the film has many holes in it, though they tend to be laughably enjoyable. 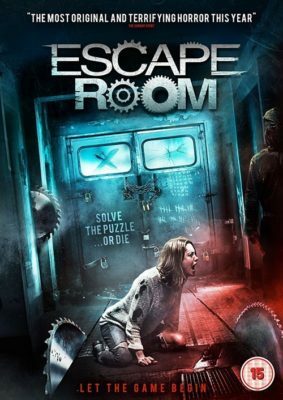 A film like this can be bad, yet fun as long as the film itself doesn’t take itself too seriously and Escape Room shows it knows what it is, which really made it that much more enjoyable. Some characters are well described and have interesting backstories but, for no reason, are all unnecessarily mean. There are just times where someone is rude to someone else completely out of the blue, which is really jarring for the viewer. When characters act rude or disrespectful, it’s only effective if their motivations are justified, whereas in this show, they never are. In a nutshell, Escape Room doesn’t hold any grand theme that should be analyzed. However, it does leave the viewer with a smile on their face as the credits roll, which is something to appreciate by itself.